Our beautiful antique chairs date from the late 1800’s to early 1900’s. They are quite low in comparison to modern armchairs as they were meant to be used by the fireside. 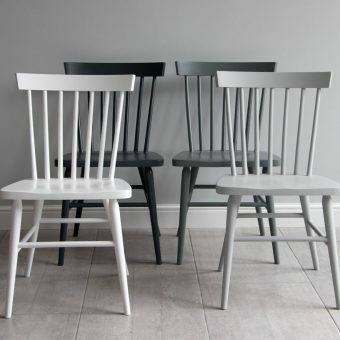 Originally these chairs would have been fully upholstered on the back of the seat, but they have been lovingly stripped and the hand-forged cast iron parts have been polished. 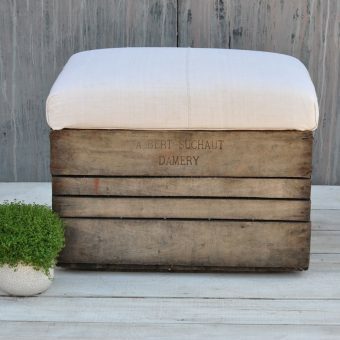 The seat is traditionally upholstered utilising the original springs and horse hair filling. The top of the seat has been upholstered in newly applied linen which has been hand stitched into place. Original turned legs and castors are in place. 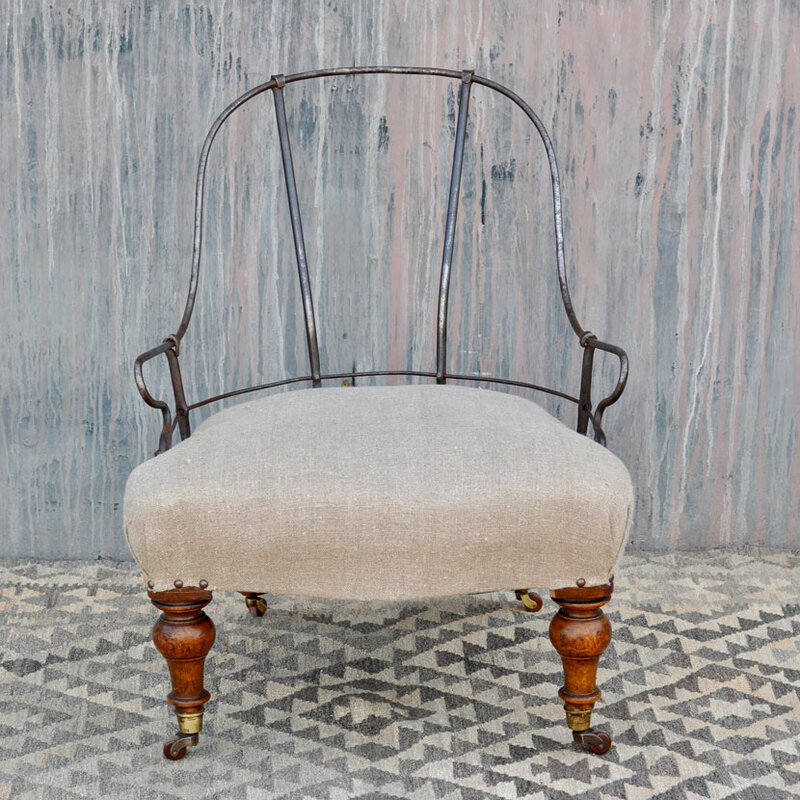 Each of our antique deconstructed iron back chair chairs is totally unique from one another and they are all one of a kind. 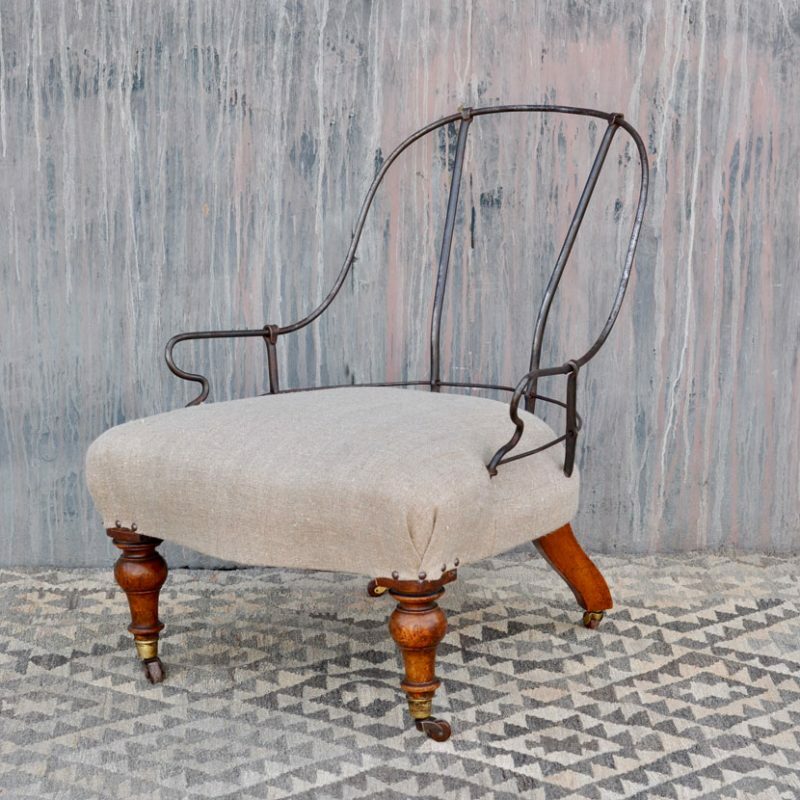 Antique deconstructed iron back chair – for similar items please check out our seating section here. 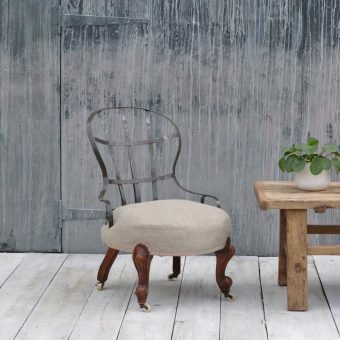 Our beautiful Tithe Barn showroom is located just 20 minutes west of London. Its theatrical location is well worth a visit. 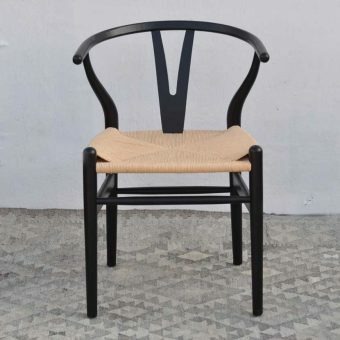 SKU: simple round back turned legs Tags: Antique deconstructed chair, cast iron frame chair, deconstructed chair, forged back chair, Iron Back Chair, ironback chair, vintage deconstructed chair.